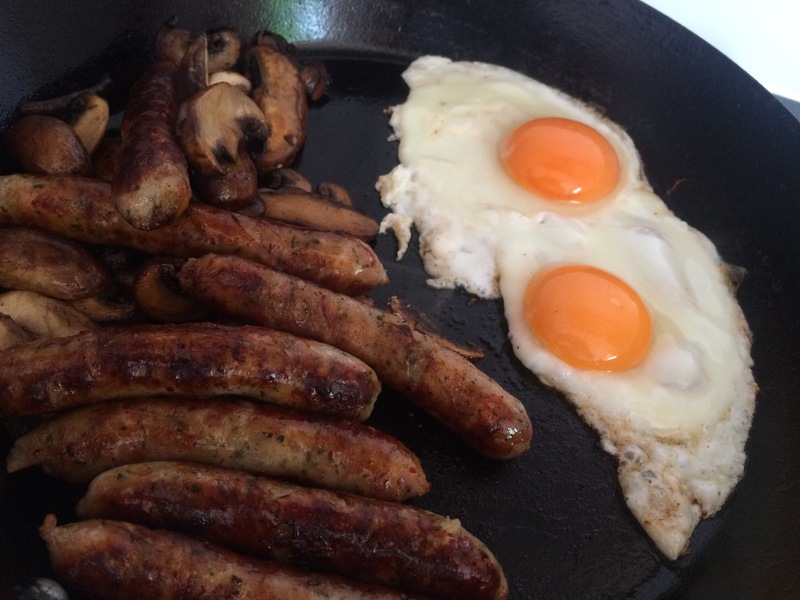 Home › Breakfasts › Pork and bacon old Irish recipe sausages..Homemade of course ! 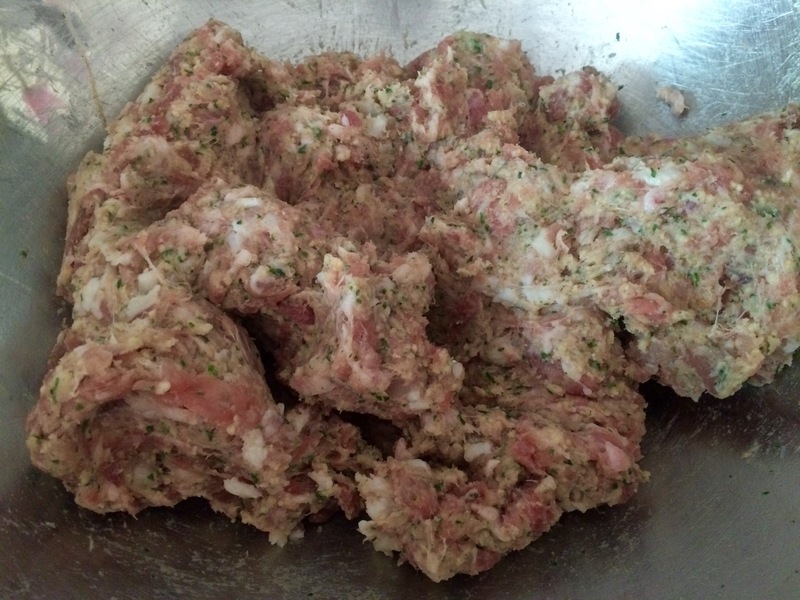 Things to think about so nothing more therapeutic than making sausages.. Some bake.. Others meditate.. 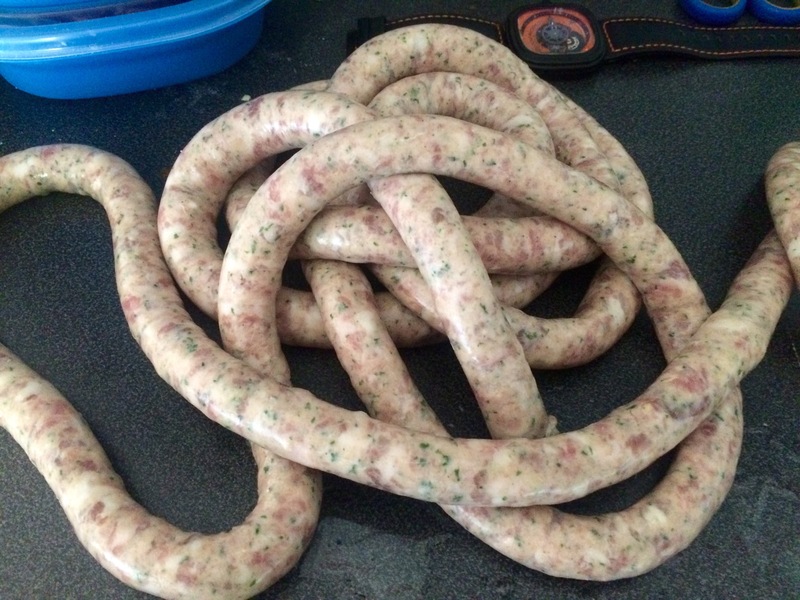 I make sausages.. Taking good free range red ticket pork..mushing it up.. With chopped unsmoked streaky bacon.. 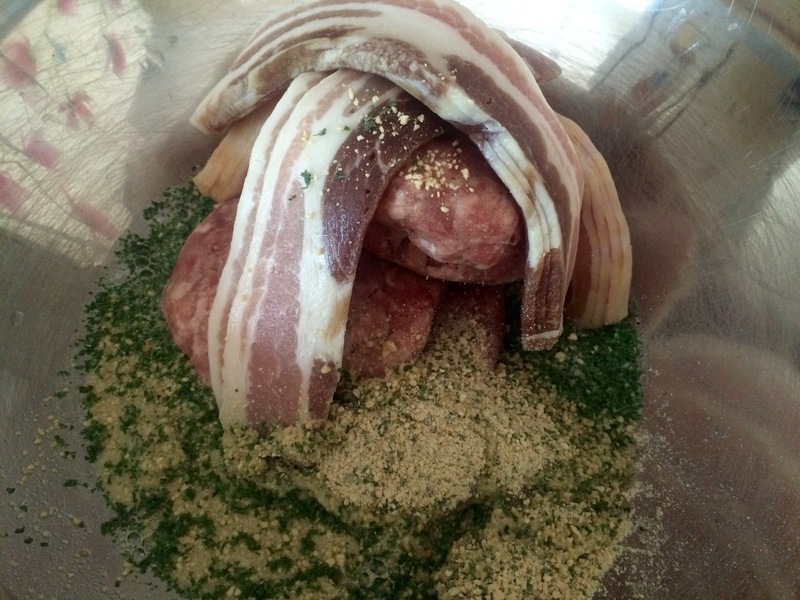 Adding the secret old fashioned Irish seasonings .. Some rusk and water .. ( no water no bang in the bangers.. Simples..). I got some very good lamb casings.. 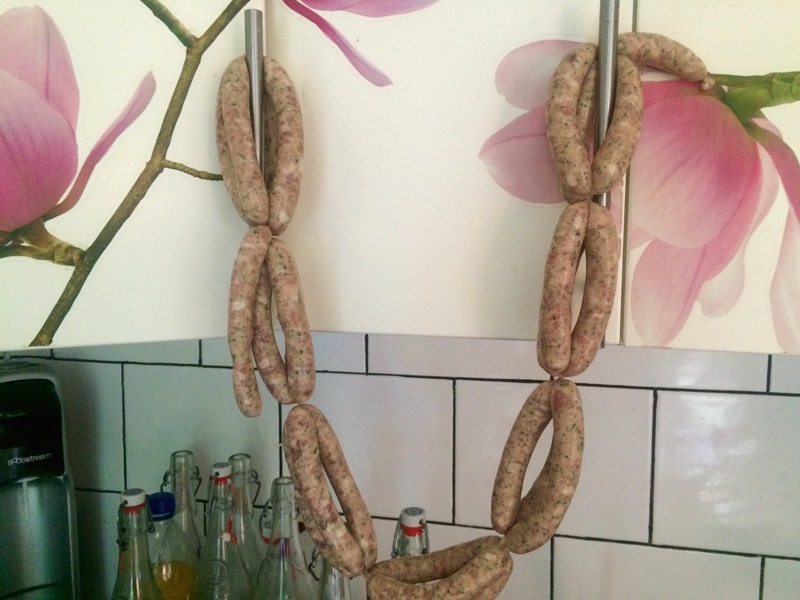 I really like using lamb casings.. A great snap to the finished product .they are delicate to use.. And a hand cranker is a much better option..
Strung up on the kitchen cabinets of course! 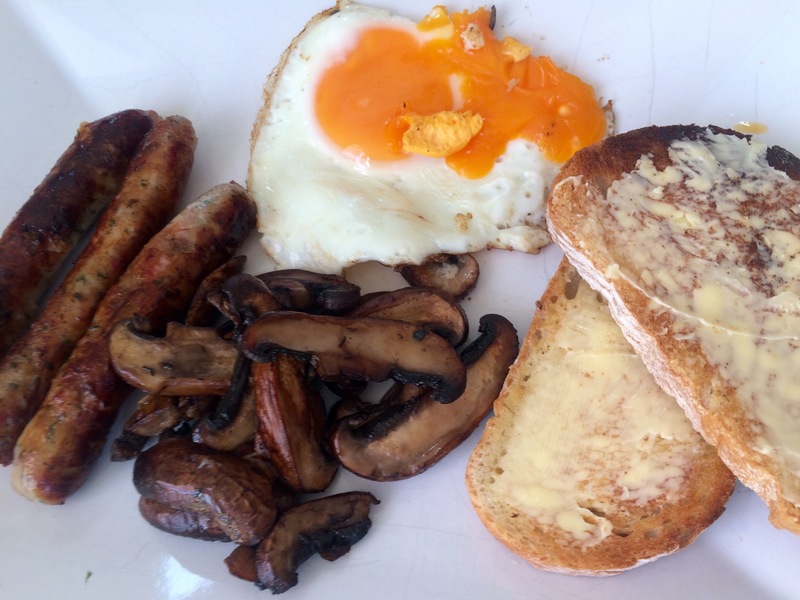 Fried up with some mushrooms and a couple of eggs..
With great French bread toasts.. And real butter of course! Did I get to think about what I needed to think about? ‹ Chicken wings .. With franks of course! & slaw & chimchurri spuds..
We just got a mincer and sausage maker for our new kitchen (when it’s built!) and can’t wait to make our own sausages. 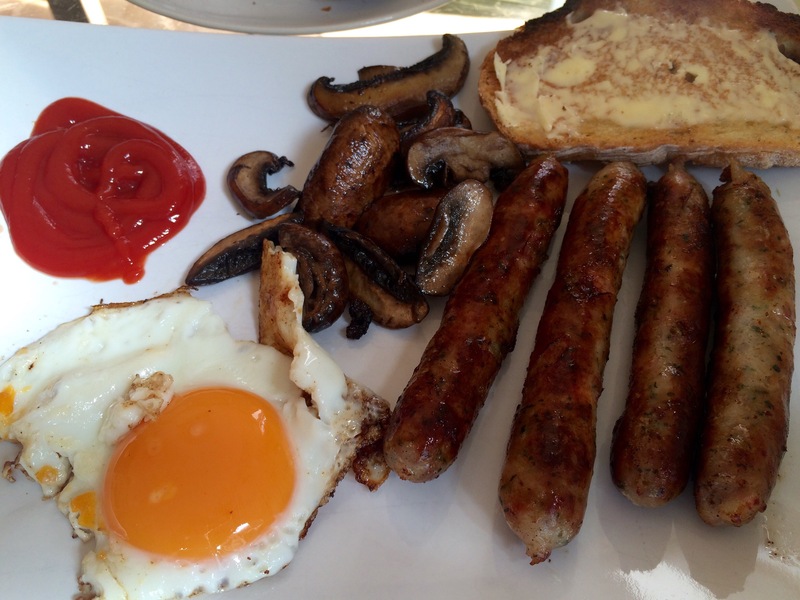 How secret are these Irish sausage spices of yours?